How did I spot this tree frog? It was washed out of the horse water trough when I cleaned and refilled it. After taking few shots of it sitting in the hay on the ground, I decided to see if I could catch it and move it to a more natural-looking environment. It was surprisingly easy to catch. I wondered if it was perhaps suffering from overheating, as it had been hiding in the lip of the black plastic water trough. That is not exactly a cool place to hide. In any case, it passively sat on the pine bark and allowed me to take several photos before it moved. It is marvelous how well the tree frog blends in with the gray, rough bark. No wonder I rarely see them in their preferred settings! 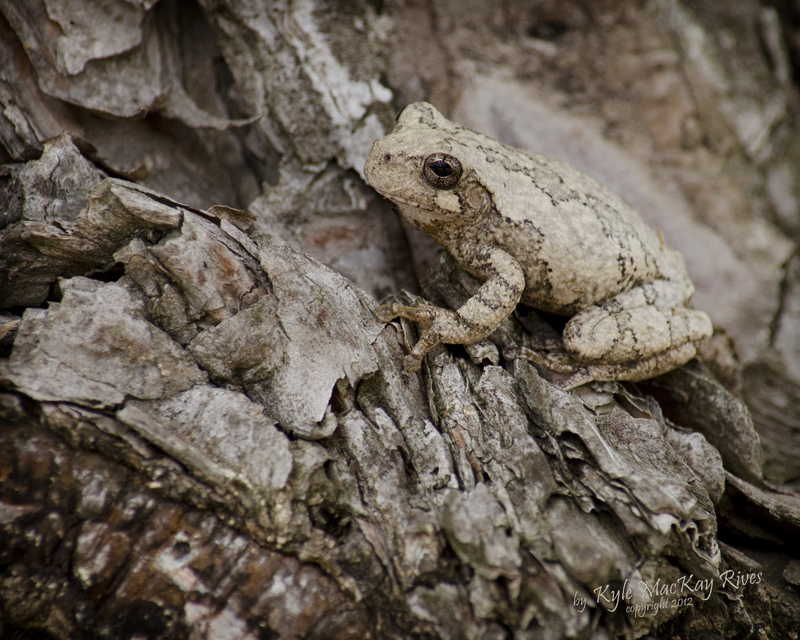 This entry was posted in photography and tagged 2012, amphibian, frog, nature, outdoors, photo, Photograph, Photography, summer, tree frog. Wow! It does blend with the bark! Pretty amazing, eh? If i stood farther back and had him a smaller part of the photo, I think he would be very difficult to see!